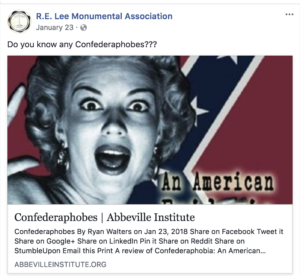 The name of the RE Lee Monumental Association itself – which it borrows from the 1870s group that put the statue up – shows their lack of historical awareness. 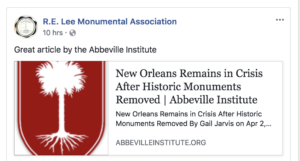 The head of the 1800s association, Judge Charles Fenner, was a member of the Crescent City White League who later ruled against Homer Plessy, forging the doctrine of ‘separate but equal.’ Many other original members – including the then-mayor of New Orleans – had been both Confederate soldiers and White League rioters at the Battle of Liberty Place. 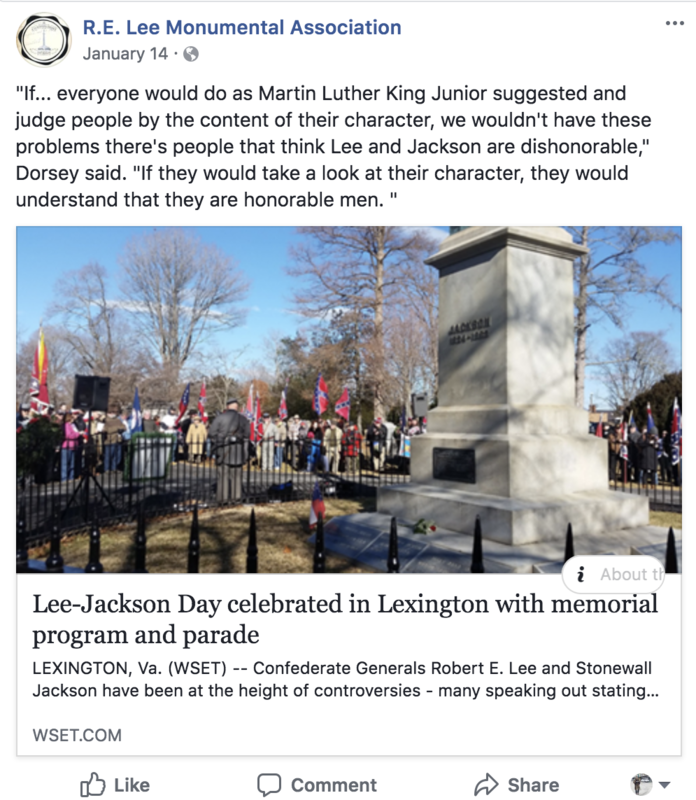 This is the heritage McGraw and Mason have chosen to continue. 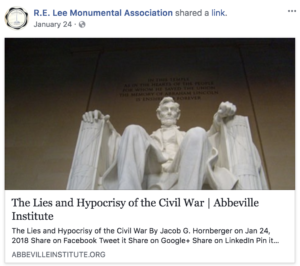 The RE Lee Historical Association is a religious organization that views Lee as an infallible god and thus cannot engage with any kind of criticism or complexity. 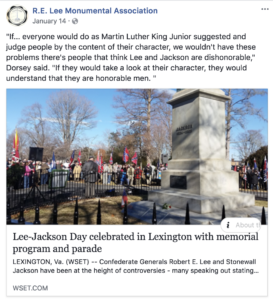 This is not history – this is worship. 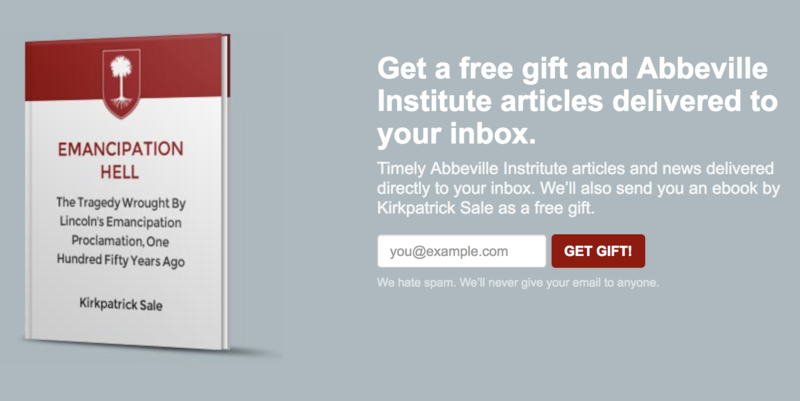 Your free gift for joining the Abbeville Institute is a book explaining how emancipation was a tragedy.